Saying the name of this beautiful cocktail alone makes you feel refreshingly tipsy, doesn’t it? 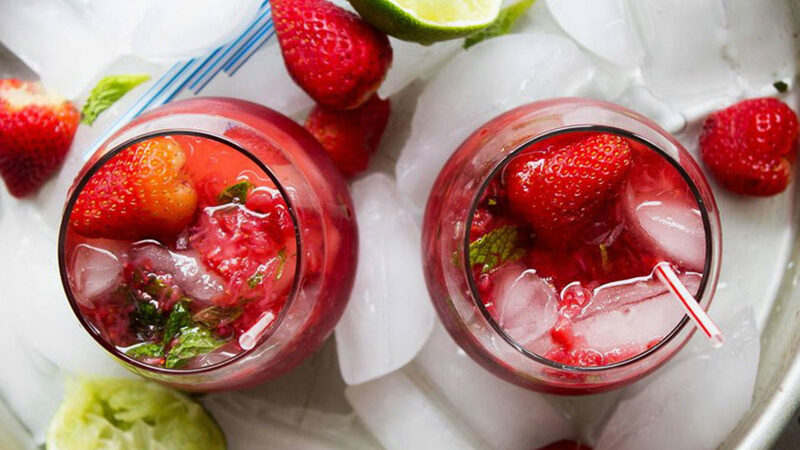 Made with strawberries and pomegranate juice, this cocktail turns the classic mojito into a sweet, fruity mix that’s dangerously drinkable. Put strawberries, mint leaves, and lime juice in a shaker glass. Add the pomegranate juice, rum, and honey; mix properly. Divide mixture evenly into prepared glasses. Slowly pour in Sprite or lime soda; fill to the rim or to your taste. Garnish with strawberries and mint leaves.